Get this ESL worksheet pack to go along with the song Hello, hello. What's Your Name? from BINGOBONGO Rock Vol. 1. 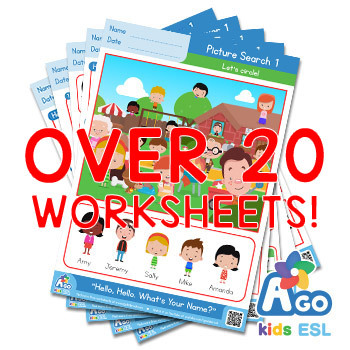 Use these worksheets together with our free flashcards, games and videos in your ESL English class to make lessons fun and exciting! 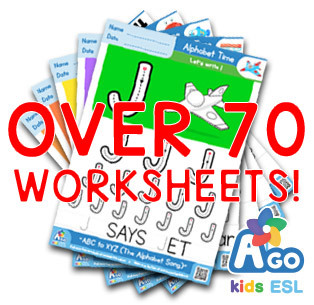 Get all the worksheets for the BINGOBONGO Rock hit song, Hello, hello. What’s Your Name?, and supercharge your ESL experience. 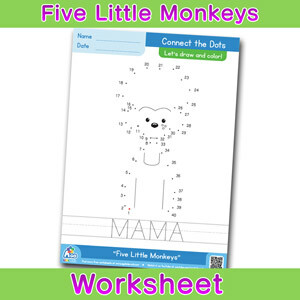 This pack includes 24 worksheets for all ages and skill levels to master the lyrics, which focuses on the expressions, “What’s your name?,” “My name is ~,” “Nice to meet you,” “Nice to meet you too!” There are worksheets for counting, writing, reading, playing games, and more!